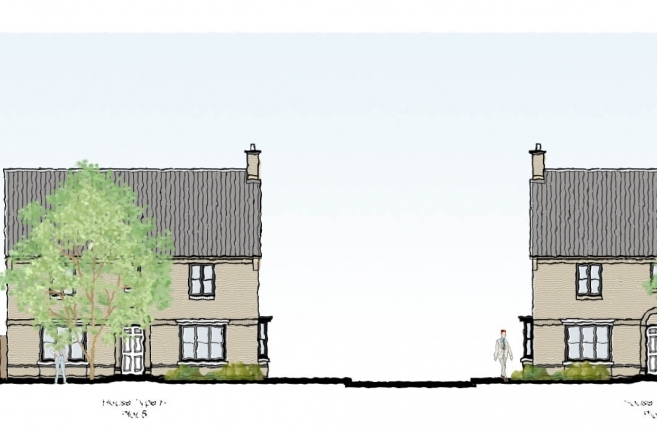 Grafik Architecture were commissioned to prepare feasibility studies and ultimately a Detailed Planning Application for a 1.62 Hectare site on the edge of the historic village of Cottenham, mentioned in the Domesday book. There is existing residential development to the Northern boundary, extensive hedgerows and trees along the boundaries, a power cable easement crossing the site and open farmland to the South and East, beyond Long Drove. Due to the history and importance of Cottenham there has been produced a Cottenham Village Design Statement SPD and District Design Guide SPD by the local authority. Any proposals would need to demonstrate compliance with these documents for what is a key interface with the rural surroundings. In order to retain as much of the natural vegetation along the boundaries and considering the linear nature of the site with access only from Beech Road, an outward facing approach seemed appropriate. Not only to provide street frontage at the entrance to the site on Beech Road but to set the built form away from the rural edge and promote views towards the farmland beyond Long Drove. The main constraint was the power easement running NW/SE across the site preventing building within the 6m zone. This gave an opportunity to locate the main area of required POS on the easement in the form of a “green” with the road pattern following the back edge. Dwellings forming the entrance are set back behind existing trees and hedges, the road taking a subtle curve beyond to lead into the “green”, overlooked by dwellings on the Northern edge. Just beyond the “green”, the road turns right, then left, with buildings as key vistas and corner turning elements, to run parallel with Long Drove. 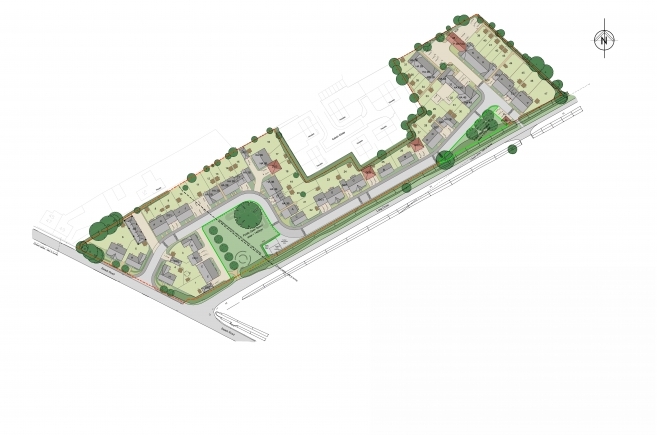 More dwellings overlook this section and to the farmland beyond, until a turning head with reduction to shared surfaces, signal the end of the scheme with parallel development and the second area of POS forming enclosure to a mews court. 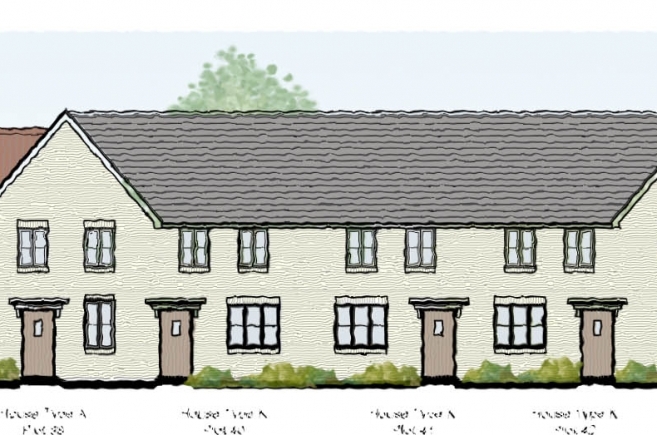 A range of dwellings in detached, semi-detached and terraced form reflect the village character providing 50 homes in 2, 3 and 4 bedroom forms, 40% of which are affordable and all detailed to relate to local styles and materials.